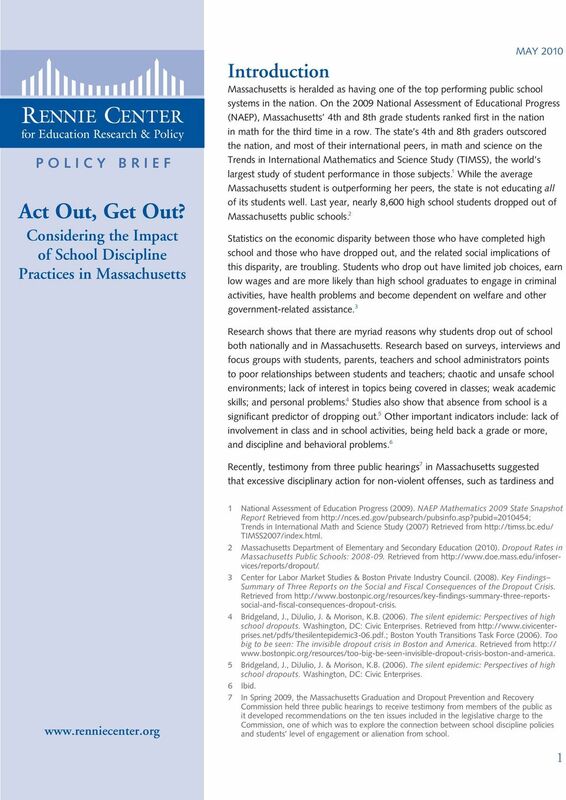 Download "Act Out, Get Out? 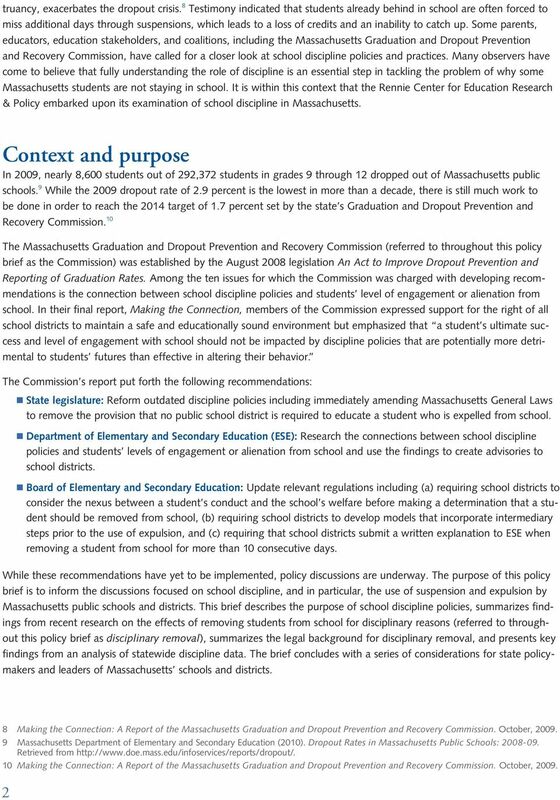 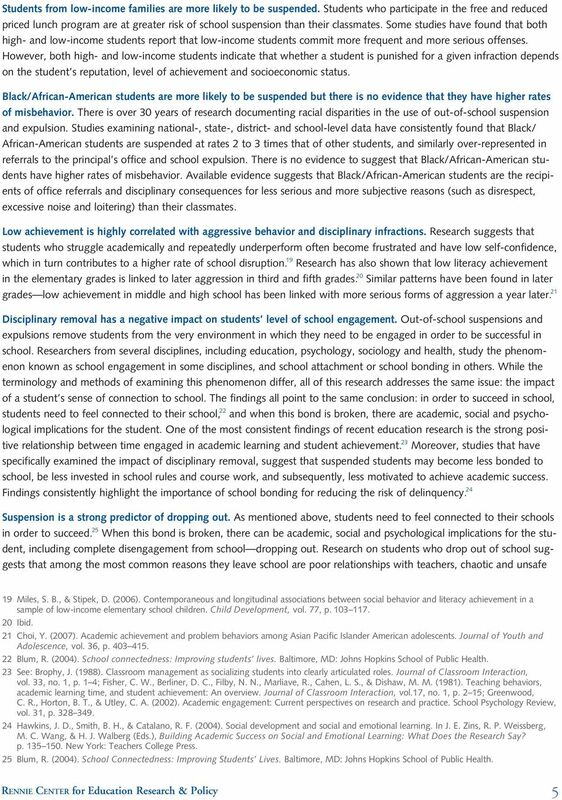 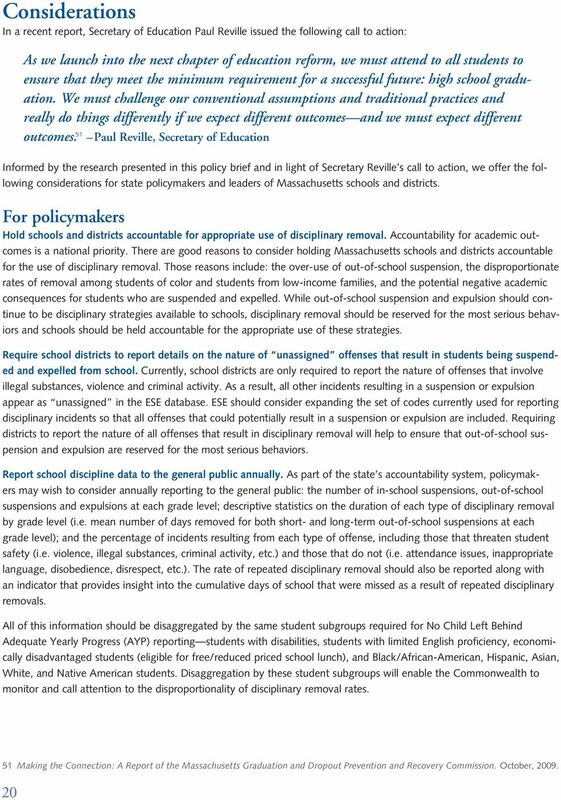 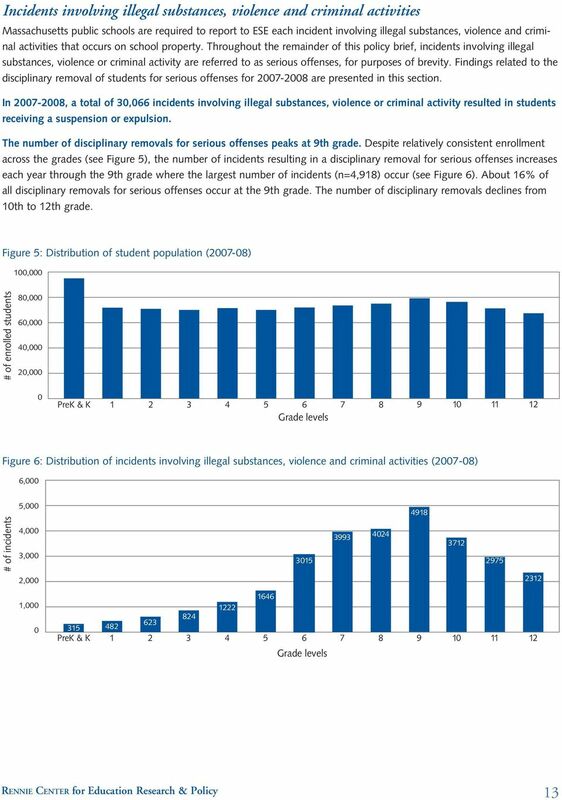 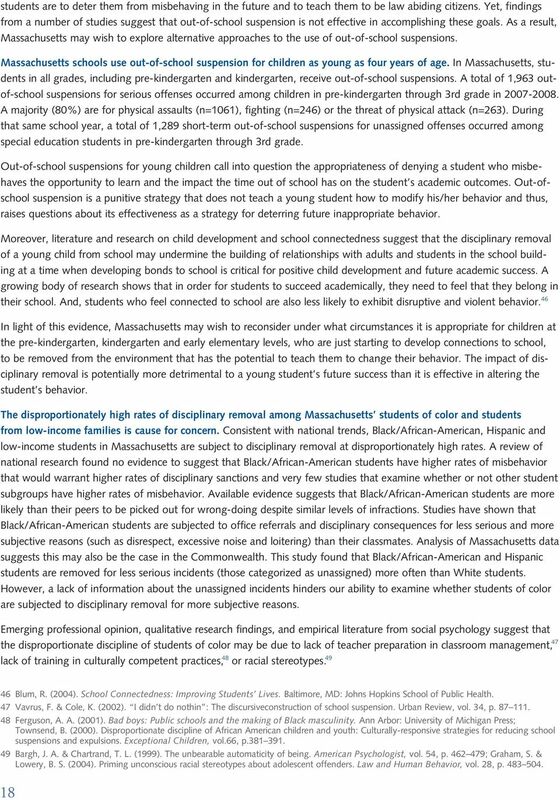 Considering the Impact of School Discipline Practices in Massachusetts"
This report provides the executive summary for Indicators of School Crime and Safety: 2014. 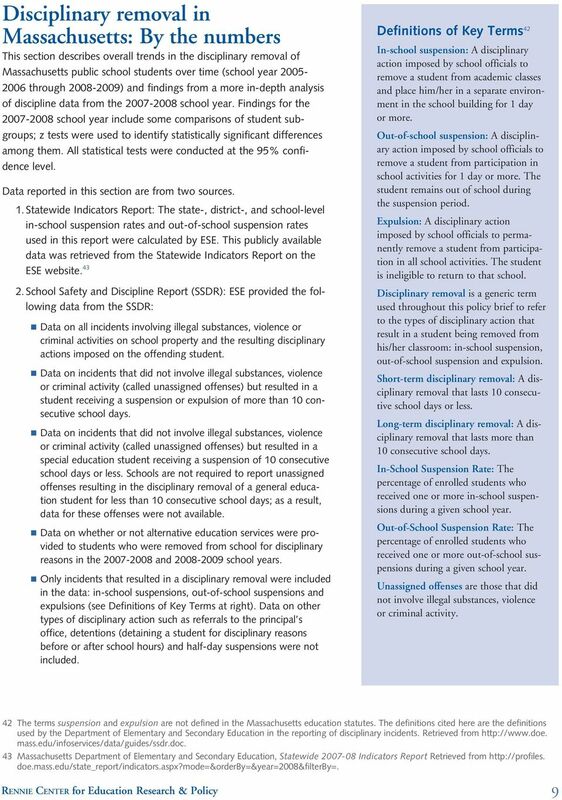 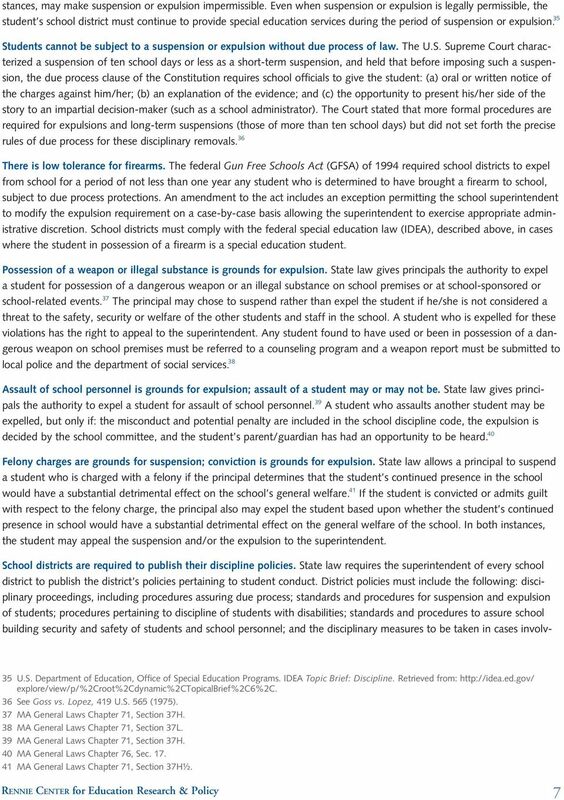 BP 5144.1(a) SUSPENSION AND EXPULSION/DUE PROCESS The Governing Board has established policies and standards of behavior in order to promote learning and protect the safety and well-being of all students. 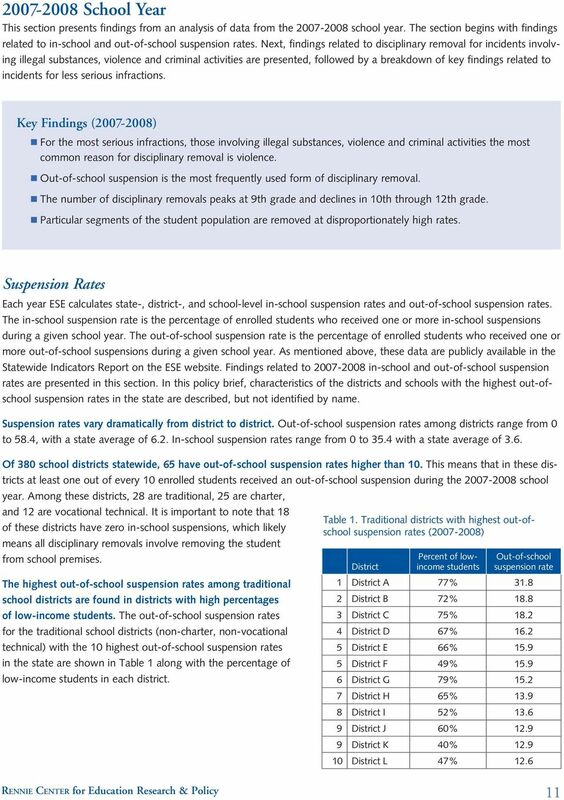 Speaker Sheldon Silver Breaking New York s Addiction to Prison: Reforming New York s Rockefeller Drug Laws In 1973 New York enacted, what were considered at the time, the harshest drug laws in the nation. 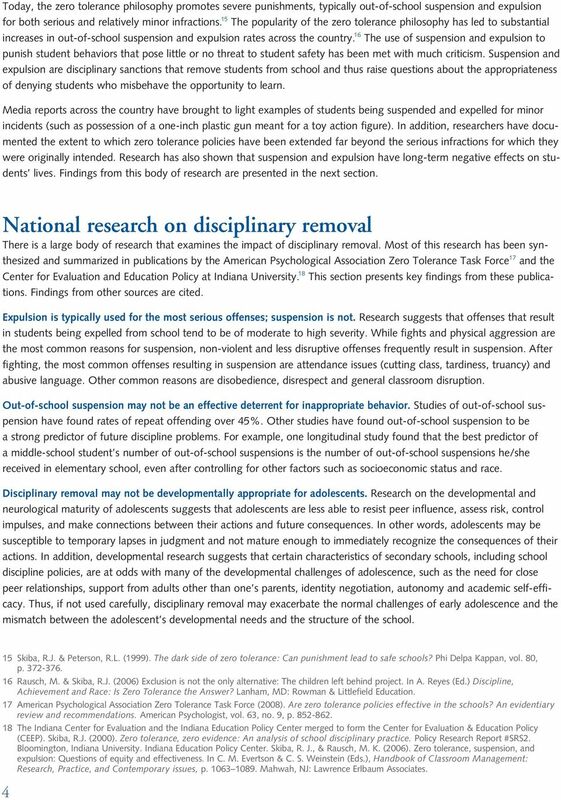 A STUDENT WILL BE DENIED THE PRIVILEGE OF PARTICIPATION IN THE ATHLETIC PROGRAM IF HE/SHE CHOOSES NOT TO FOLLOW THE RULES ESTABLISHED BY THIS CODE. 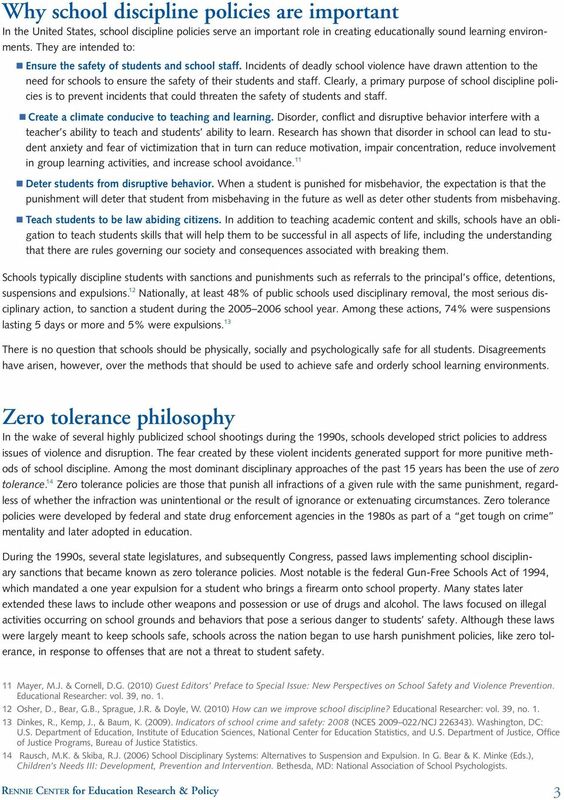 THE COOPERATION OF LAW ENFORCEMENT AND SCHOOL ADMINISTRATION IN SCHOOL DISCIPLINE CASES. 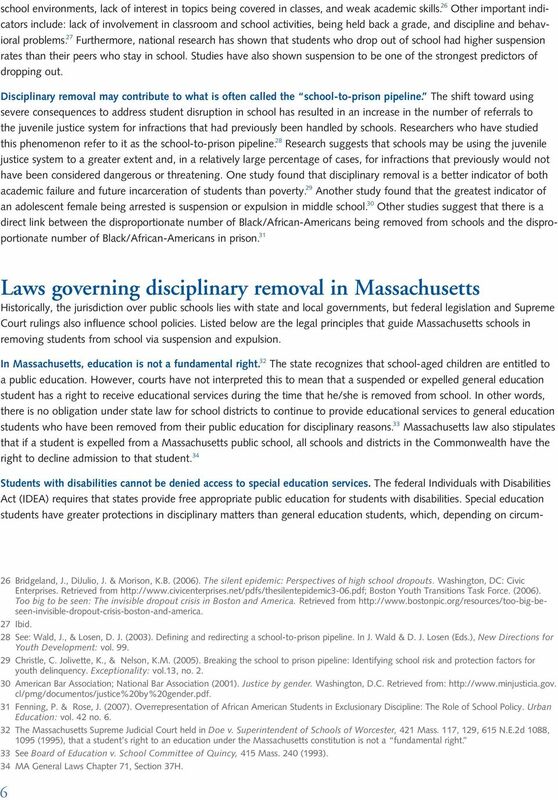 William B. Reichhardt, Esq.